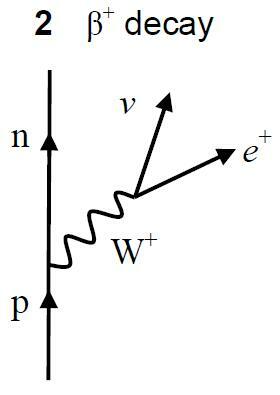 To explain the forces between particles we use the concept of exchange particles or bosons. All particles with mass attract each other with the force of gravity, the mechanism by which particles attract each other is through the exchange of particles called gravitons (as yet undetected). The virtual photon is the exchange particle (or boson) which carries the electromagnetic force between charged particles. Particles with electric charges can either attract or repel each other by exchanging particles called virtual photons. 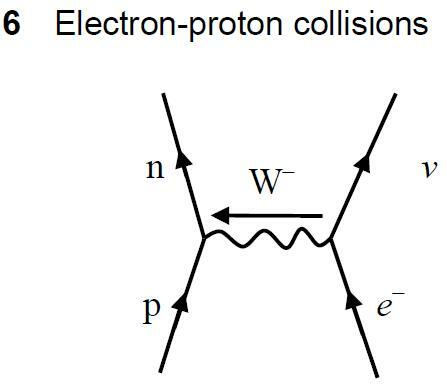 Gluons are the exchange particles involved in the strong nuclear force interaction. 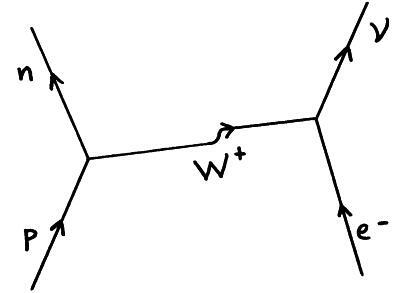 W and Z bosons ( in A-level we just need the W+ and W– bosons) are the exchange particles involved in the weak nuclear force interaction. The weak force acts within the nucleus, quarks and leptons excerpt forces on each other by exchanging bosons. 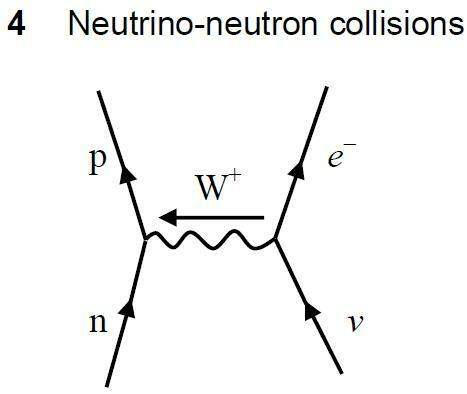 The weak nuclear force is very weak and acts over a very small distance. 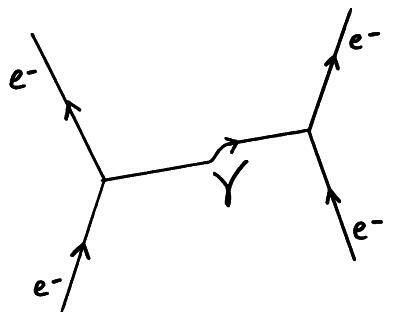 Feynman diagrams are visual representations of particle interactions which also show the exchange particles involved. 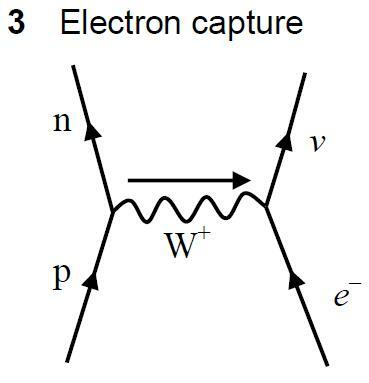 Above two electrons exchange a photon (g) as they repel each other. 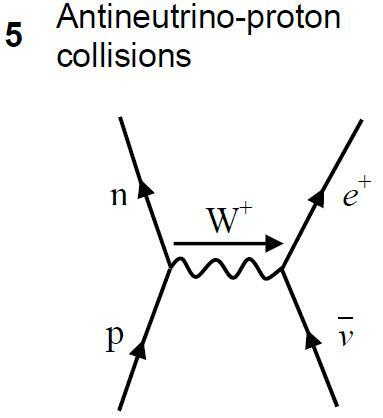 A proton (p) and an electron (e–) combine to form a neutron (n) and a neutrino (n). 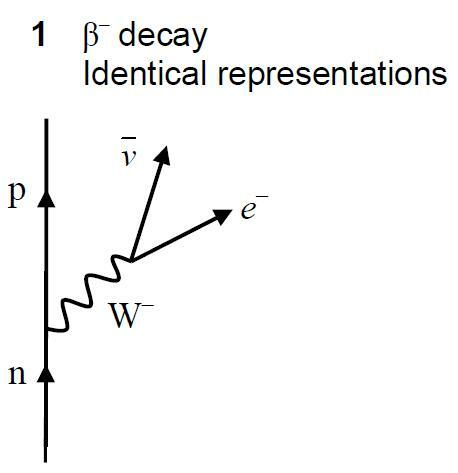 The exchange particle in the above interaction is a W+ boson. In diagrams 4, 5 and 6, the exchange particle in each case could be the oppositely charged W particle travelling in the opposite direction.